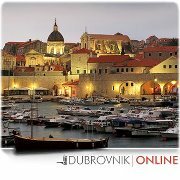 Embark on a 2 hour bus drive featuring Dubrovnik highlights, including 2 stops for photo session. The Dubrovnik Cabrio City Tour Bus features a 2 hour sightseeing of Dubrovnik, including panorama views over Old Town Dubrovnik in the east and Dubrovnik Bridge in the west. On the bus you will find headphones, follow the tour highlights in nine languages.